We are in the process of releasing an update that you will need to download from your app store. The vast majority of the update is backend stuff related to data collection and protection that will not impact the game that cannot be implemented without a full-scale update. We apologize for the inconvenience. The one visible change that has been made with this update is that you can now see the probability for individual heroes to appear in portals. 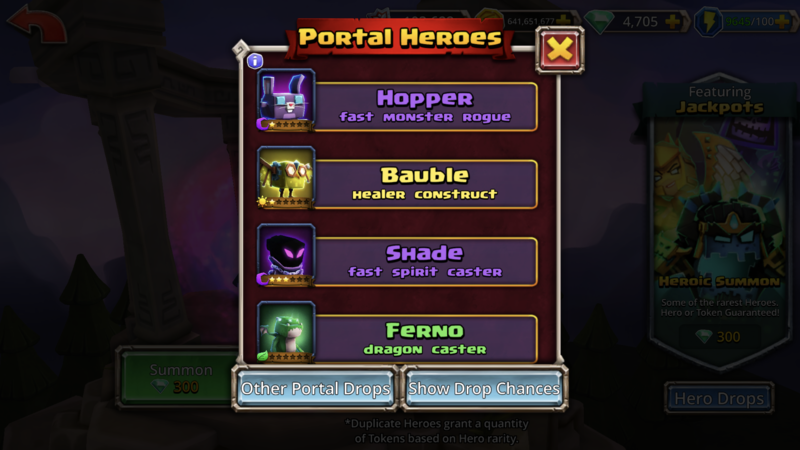 To see the probabilities, tap the "Hero Drops" button for a portal and then tap the "Show Drop Chances" button. After that, just tap and hold the profile image for the hero whose drop rate you want to see! 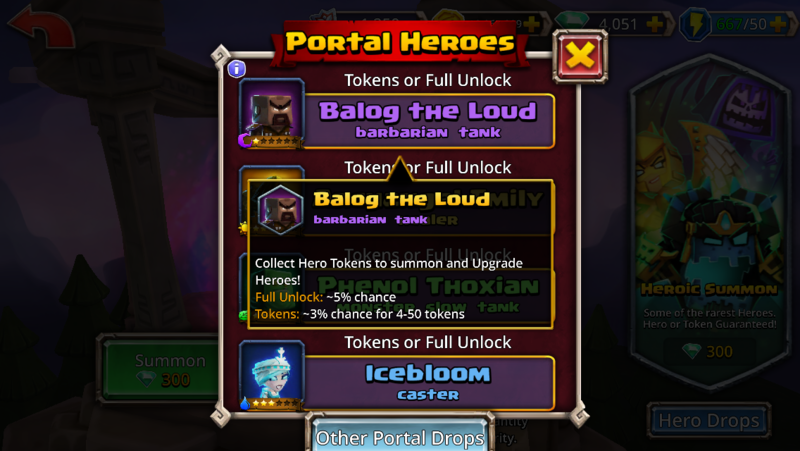 We also have a button for other portal drop odds (things that aren't tokens). 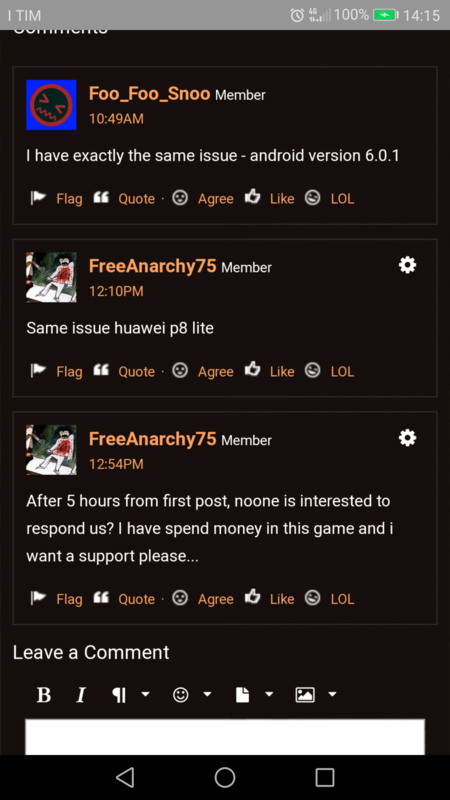 The current link goes to the forum instead of the proper web page, but that will be updated later this week. The button will eventually lead you to THIS PAGE. Also, Big Fish has made some updates to their account login system. The biggest difference is that if you are already logged into an account, you cannot immediately log into another account via Facebook or Google, you will have to log out of the first account to see the Facebook/Google login options. Ooh, chest odds! That’ll be nice to keep track (and to add to the wiki). Thank you Joel! A great step toward transparency. @Joel one minor tweak suggestion for the drop rate page, have whoever made it "Center" the info in the boxes, makes it much easier to read, thanks! That's it, keep up the good work, we appreciate it. @Joel Is Ferno gonna start off with 0 Stars? That's strange, they should be visible. I'll have that looked at. @Joel A bunch of heroes are missing from the aether shop. For example, Mangle jaw and GT. And can we get an update on all the changed star ratings? Why is Mangle jaw a three star, according to the portal screen? Edit- I’m being stupid about the aether shop thing. They aren’t missing, I have just already six starred them. My bad. I’m also told by a guildie that star ratings haven’t changed in terms of tokens needed to unlock, so I’m assuming it’s just a glitch. @Swordking35 This appears to just be a visual bug, heroes are still being unlocked with the correct number of stars. We're investigating the cause. There should be no hero changes with this update. I can't get on!!!!!! The update keeps saying failed check your connection! I reformated my tablet 4 times nothing. With accounts that are linked to facebook... I don't understand the change. Before I could readily swap accounts via link/unlink. That cannot be done anymore? Perhaps I am dense and some could explain it to me. Why change the system? The one visible change that has been made with this update is that you can now see the probability for individual heroes to appear in portals. To see the probabilities, tap the "Hero Drops" button for a portal and then tap the "Show Drop Chances" button. Hey folks, we're investigating the login issues. Thank you for your patience! Don't worry, this is not a permanent change, we are working to fix the problem so you can log back in, this is not a "gone forever" situation. 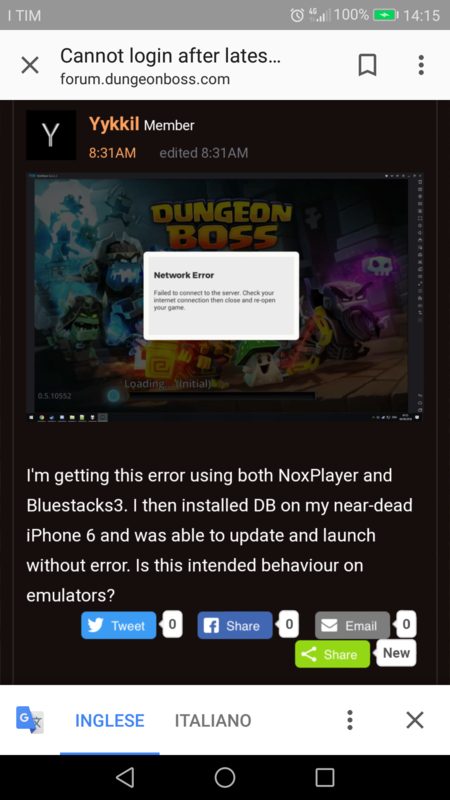 We've also had a few cases of people being able to log in by connecting to a different hotspot or network, so you could try that in the meantime. Am I the only one with the weird "store-crash"? I can play the game all right but as soon as I try to enter a store (anyone of them, I've tried them all), the game crashes. Crashes after a few seconds , sometimes a few minutes. Entering the store is a sure way to crash. I managed to buy something, though. Then it crashed shortly thereafter. I am playing fine, but the game crashes when I try to go into any store. Still unable to sign into the game via bluestacks, I was able to a couple of hours ago though. @Joel, this shop issue is screwing with guild crowns. also, if not fixed soon some folks won't be able to buy those event runes in shop. if they have tickets, they should be allowed to buy them. Maybe if possible keep shop open until issue fixed? @Joel please make it a company policy for DB NOT to release app updates during any future event. Plan a day or two of nothing and then release it. Thanks! The Rune War event already has a buffer built in. The event ends today and the shops always stick around for 24 hours after the event. If the shop issues continue into tomorrow, we will look into increasing the shop's timer further.